The right-wing is already in any society. Artificial states were created in Europe after the Second World War that do not have any connection with their Christian roots or identity. The construction of the European Union with 50 languages based on a temporary bridge relationship through liberal democracy and secularism does not erase the influence of fascist elements that still exist in European states. A return to real national states could happen at any time if strong and wise leadership or a situation could lead people to the right, as Europe experienced in the 1920’s and 1930’s under Adolf Hitler and Benito Mussolini. The recent rise of the right-wing is connected with the emerging chain of events speeding up certain processes. The chain of events after the Cold War has leaned towards the right from 1991 and reached the successful stage of a Republican, right-wing conservative American president. The chain of events includes the absence of real opposition against liberalism and globalization which threaten the social foundations of ethnic peoples, and technological development leading people towards individualism, the profit-motive creating unsustainable societies, and the revival of Russia through strong leadership. 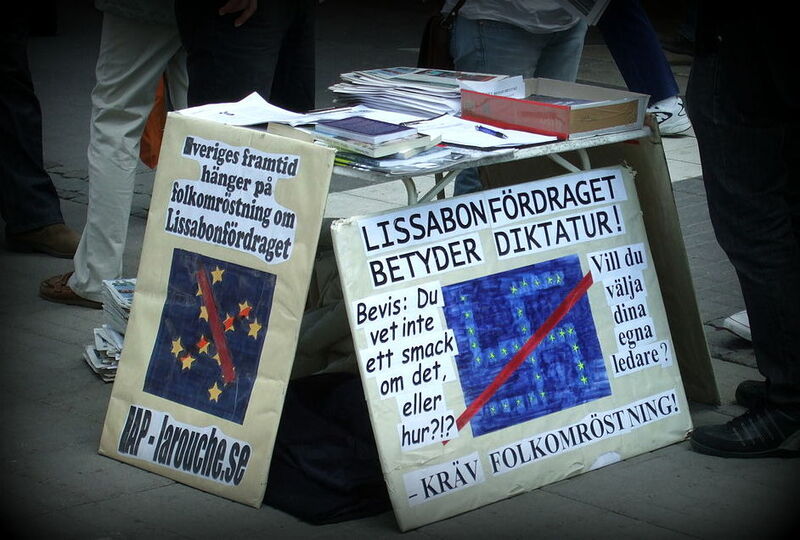 Other factors include the global economic crisis, the rise of the far-right wing in Britain and Brexit, the emergence of right-wing populists across Europe, continuous direct and indirect US intervention in European states, and the decaying effects of globalization experienced in Eastern Europe. Meanwhile, orchestrated bloody rebellions and civil war in Arab nations have created a refugee crisis in all directions. Russia has motivated others to revolt against modernity. The Euromaidan protest organized in Ukraine to overthrow the government in 2014 and the destabilization of the Balkan states, again to provoke Russia, were a challenge to this. Then Crimeans legally joined their mother state, Russia, detaching themselves from the artificial Ukrainian state. The Eastern part of Europe is building itself on respecting traditions, cultures, and returning to the forefront as the stage for the exposing of the threats of liberal democracy, multiculturalism, international bankers, corruption, and other things aimed at destabilizing Europe and the Middle East through hybrid wars, the refugee crisis, economic crisis, unemployment problems, migration, and the decay of European nation-states who have forgotten that they are built on ethnicities and whose social capital is becoming weaker. The European Union has also temporarily been under the thumb of the US globalists and their NATO army, which are blocking the right-wing parties of Europe and striking at post-Soviet countries to weaken the integration of Russian states. Colonized nations or their leaders are taking revenge against the colonial powers of Europe. European people should think about their real enemy who is weakening Europe through cultural attacks. These enemies used the Jews against Europe from the 1920’s to 1945 and are now using Muslim migrants or Muslim extremists against Europe. The enemy is creating enemies and using them against each other for their own benefit. These enemies planned the world map, and are manipulating demographics to divide and integrate nation-states according to their needs, or creating failed or artificial states for enslaving the world population and looting global resources in an unjust manner. Their hypocritical stand or double standards towards real problems are hidden under the cover of liberal democracy. The right-wing is effectively taking advantage of the chain of events in attempting to construct independent European states, dismantling the artificial, temporary European Union, and questioning the need for NATO. European people fear migrants and refugees in this time of economic crisis while the puppet governments under US control are ineffective in monitoring Muslim migrant threats. These threats are actually created by the crooked Atlanticists in North Africa, Middle East, Central Asia, and are urging them, knowingly or unknowingly, to turn against Europe. The Muslim leadership or Muslim nations have joined with the liberal Atlanticist elites. Poor refugees are moving to stable, developed countries for shelter and livelihood. The elites wielding power are using the migrants as their tool. After all, these immigrants’ nations were already destabilized through orchestrated civil war. The power and security of Arab Muslim nations is in the hands of the ruling global elite, and the complex mixture of problems and their groups are combined to yield systematic results that provoke the right-wing trend across East and West. The inability of current political theories and political leaders in the face of great economic and social crisis to promote change or qualitative difference for people is a major factor. Meanwhile, right-wing governments should take adamant stances and seek beneficial cooperation with Russia to protect their traditions and reduce the challenges and effects of unlimited liberalization. Far-right parties have only the option of Russia after the dissolution of the European Union and after liberation from the Atlanticist elites. Sincere leaders and intellectuals should unite to protect national identities and work towards sustainable development in Europe. Intellectual discussions should be held to introduce a new political theory capable of addressing the current state of the West. A Eurasian Union or European Union is only possible when political leaders achieve permanent solutions to the current world chaos. This is the time for responsible, real world leaders to act, react to stabilize failed states in the Middle East, Eastern Europe, and Africa by implementing good policies rather than looting and uncontrollably exploiting different groups, tribes, and nations’ separate security issues. It is necessary to pursue social empowerment, real, true, and stable economic systems, and the just utilization of Eurasia’s human and natural resources for world prosperity, not for destruction or corruption.